“I can feel the presence of God occupying my intentions/In my soul, within my thoughts, and in ways too dreary to mention/These thoughts torment me; they mould and shape me/There's a man that I should be!” Deep stuff, right? Such are the kind of lyrics to be found all throughout The Light The Dead See. 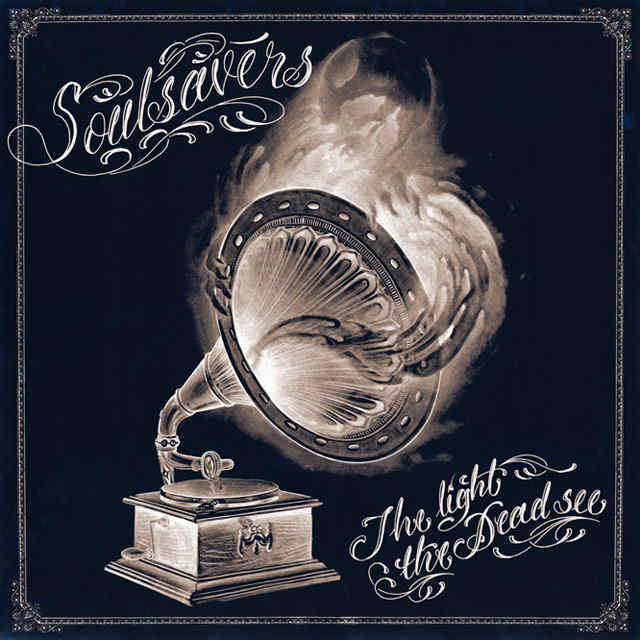 To their credit, the British duo known as Soulsavers have crafted a profoundly deep (but not suffocatingly so) album here thanks to the enlistment of lead vocalist/lyricist Dave Gahan of Depeche Mode. The aforementioned lyrics might seem like a facile grab at poetic authenticity, but what Gahan’s done here is present us with short confessionals dabbling in personal woes of morality, faith, regret, etc. Having been pronounced clinically deceased for six minutes in the late ‘90s and surviving a malignant bowel tumor just three years ago, it’s safe to say that Gahan has come close to - and, well, technically experienced - death, and his trauma is written all over The Light The Dead See. His contemplative and bleak lyrics are foregrounded as the journey unfolds, and his vocal work is just as good as it was back in the heyday of Depeche Mode. Perhaps I’m not selling this properly though. The Light The Dead See is, in many ways and through many devices, an incredibly dismal affair, but it’s a vast, ambitious musical journey as well. The variability between instruments is engaging: strings, horns, guitar, organ, harmonica, etc., and Gahan’s voice is incredibly disarming. Both elements congeal perfectly, and Soulsavers have given a Spaghetti-Western, blues-y tinge to most of the songs here. Brief instrumental opener “La Libera” (which I believe translates to “The Free”) opens with harmonica and faintly heard guitar playing that sounds like the opening notes to The Beatles’ “I Want You,” just slowed down. It does well to set the overall tone and mood of the album, and sets up one of the highlights “In The Morning.” “Why can’t you hear me? Why don’t you heal me? I am lost, I am lost here!” laments Gahan to the sinister sound of racing violins. It’s a moment of blissful grandeur, as opposed to the tracks befallen after it. “Longest Day” treads slowly; Gahan’s voice is sentimentalized by the soft and solemn piano playing. Elsewhere, Gahan’s brooding voice is accompanied by female backing vocals. These moments (unsurprisingly) are some of the most enjoyable. “Just Try,” for its evocation via violin and fleeting female backing vocals, and album closer “Tonight”’s soulful croons, make them far and away the highlights of the album. Most of the lyrical content provided on The Light The Dead See is metaphorical: “This could be the longest day, and the night has yet to come/This must be the door to take - there’s nowhere left to run.” Though somewhat cringe-worthy to many (myself included, at times), the breadth of lyrical content helps give the music on The Light The Dead See meaning, and Gahan is, without a shred of doubt, writing from the heart (as well as the deepest recesses of his mind). This one comes very highly recommended for fans of Depeche Mode and Soulsavers’ other albums.